“No one can be privy to every gay phenomenon and cultural thing,” said Monsoon, who will soon be seen in “Little Edie” garb in San Francisco. 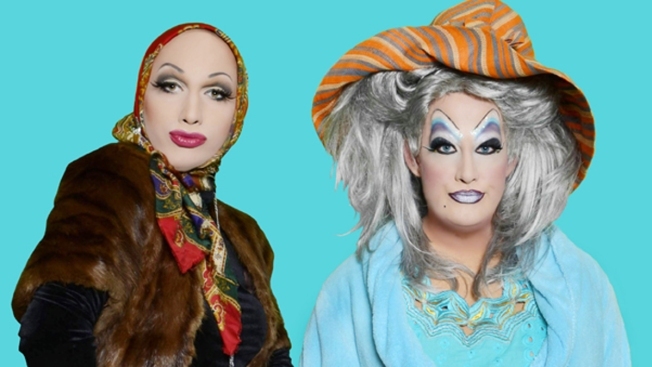 Peaches Christ will present a stage show and screenings of “Grey Gardens” at the Castro Theatre on Saturday, October 12. Peaches Christ said her shows are celebrations of cult films with their biggest admirers, and “Grey Gardens” is a film that gained an ardent following quickly. Jinkx Monsoon said she was about 17 when she discovered the musical version of “Grey Gardens,” starring Christine Ebersole and Mary Louise Wilson, and fell in love with it not knowing it was based on real women. Monsoon then became obsessed with discovering all things Beale and Grey Gardens. “The second I saw ‘Little Edie,’ I knew she was going to be my new character inspiration, and she has been ever since,” she said. Peaches Christ’s pre-shows before film screenings have become legendary in San Francisco, and Monsoon is tickled to be part of one. She said fans can expect to see the best moments of the Edies re-envisioned with a drag sensibility. Monsoon will be Lil’ Queeny with Peaches taking on Big Queeny. Expect songs, a supporting cast of feral cats and raccoons, and a new outfit for Monsoon. Peaches also found a role for old friend and cult film icon, Mink Stole, in the pre-show production. Monsoon’s season of “RuPaul’s Drag Race” was notable for having a pageant queens versus comedy queens theme. Another campy, comedy queen from “RuPaul’s Drag Race,” Pandora Boxx, will co-star with Peaches Christ in “Workin’,” the pre-show to a screening of the comedy classic “Nine to Five,” also at the Castro Theatre on Saturday, November 23. Peaches said a cat fight between “Nine to Five” star, Dolly Parton, and Pandora, who is playing her character in the pre-show, would be no contest. “Grey Gardens” will be presented at 3 and 8 p.m. on Saturday, October 12. For more information about upcoming Peaches Christ productions, visit www.peacheschrist.com.